Surgery for a beloved pet is never an easy choice to make. Even the simplest procedure has its risks and we want to always feel confident we are making the best choice for our companion. To that end, River Trail Animal Hospital provides our clients with a clear understanding of why a particular procedure is necessary, what the procedure entails, and proper post-operative care. Our veterinary surgical team also conveys any other information you may need to feel comfortable you are making the right choice for your pet. Staffed by a team of highly trained veterinarians and experienced veterinary technicians, we will do all we can to ensure your pet’s surgery is safe and successful. 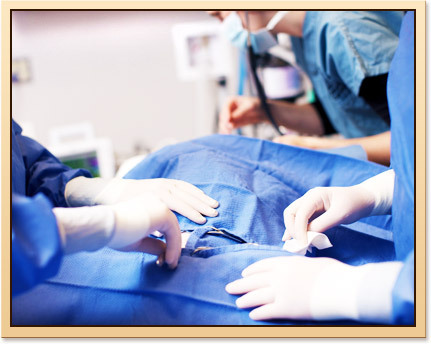 We will also work to ensure your pet is as comfortable throughout his or her procedure. We are proud of the quality of surgical care we provide and the wide range of surgical procedures we offer. 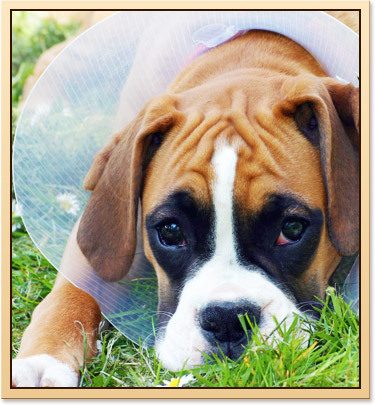 Beyond spay and neuter surgeries, we offer an array of orthopedic and soft tissue surgeries. Anesthesia and cardiovascular monitoring are integral aspects of every surgery we perform. For this reason, your pet has access to the best and most advanced anesthetic administration and computerized cardiovascular monitoring equipment and protocols. Prior to anesthesia all pets are examined by a doctor and a pre-surgical blood screen is performed. The results of these tests and your pet’s past anesthetic history, breed, preexisting conditions, and age are used to create an individualized anesthesia protocol for your pet. During anesthesia and surgery, your pet is constantly monitored by a trained veterinary technician, using our computerized monitoring system. This system continuously monitors your pet's arterial oxygen level, blood pressure, heart rate, respiratory rate, and core body temperature. We also use thermal blankets during surgery and post-operatively to ensure a quick and comfortable recovery. Identifying and relieving pain is essential to the recovery of your pet. Therefore, pain management is an important aspect of our intra- and post-surgical protocols. At discharge, we may also send additional pain management medication home with you and your pet after providing a thorough explanation of its proper use and dosage. As your pet is discharged from the Hospital, we will provide you with detailed information on how to properly care for your pet at home. We are also happy to answer any questions or concerns that arise once you get your pet home. Please call us at (918) 728-7494.